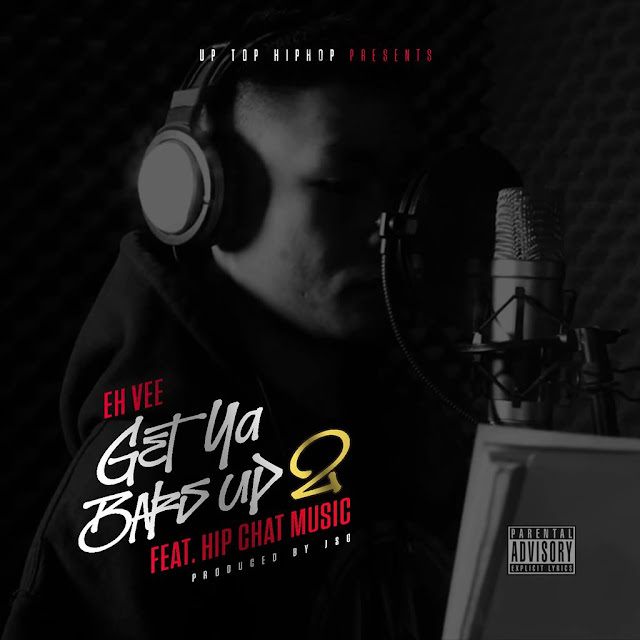 Guelph, ON - Eh Vee ends a 2-year musical hiatus with a brand new single. Released as the sequel to his 2016 single, Get Ya Bars Up, part 2 is packed full of head-turning lyricism that's sure to leave hiphop heads spinning. Frequent collaborator and fellow Guelphite, JSG returns to provide the gritty cypher-style soundscape for Eh Vee and the Hip Chat Music crew. Formerly known as Sentral Soldiers, the crew has long been known for being vicious hyenas when it count most. This quality shines through as the crew brings their absolute best to the table to craft an epic lyrical mayhem. After going through a re-brand and introduction of a few new faces, this will be the first official public offering that showcases the entire crew.